They gather by night in a dusty black-box theater to hone their comic craft. Dedicated, driven, eccentric and unique, they combine their personalities to create the mystery that makes laughs. 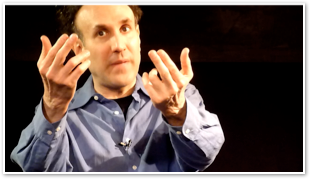 Under the wise tutelage of veteran comic writer, actor and improvisation coach Carl Kissin, they learn the skills and tricks that let their talents come alive in an intense burst of theatrical magic.